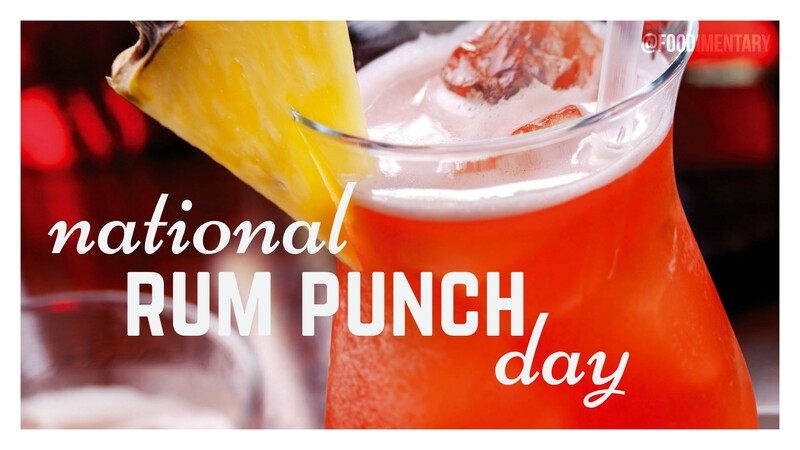 September 20th is National Rum Punch Day! Rum was manufactured, distilled, and made long before any other spirit. It’s history is a vast one filled with stories, and fables. It was the first branded spirit made. Rations of rum were given to sailors in the British Army to be mixed with lime juice because it fought off the scurvy. When wealthy titles were given to parsons, they were thanked with a glass of rum. In Australia, the rum hospital can recognize rum as it as its chief contributor of revenues that were generated via the rum exports they were known for. 1842 Sir James Dewar was born. He invented the ‘Dewar Flask,’ the original ‘thermos bottle’. 1859 George B. Simpson patented the electric range. 1878 Upton Sinclair was born. His novel, ‘The Jungle,’ was a detailed horror story about the conditions in the meat packing industry of the time. It led to extensive reforms. 1890 Blues musician ‘Jelly Roll’ Morton was born. 1969 ‘Sugar, Sugar’ by the Archies hits Number 1 on the charts.